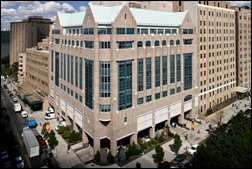 Mayo Clinic’s annual report says it will spend more than $1 billion for its five-year Epic implementation. From Craptastic: “Re: McKesson’s EIS division. The likely buyer is India-based Tata Consultancy Services. They are conducting web-based video sessions between Charlotte and Mumbai. The EIS division contains dead or dying products like Star, Series, and HealthQuest, so the main target is Paragon, which was hot in small hospitals years ago, chilled down by trying to replace Horizon, then cold as hell once the divestiture rumors started.” Unverified. Publicly traded Tata Consultancy Services, part of the Tata Group conglomerate that manufactures everything from Tetley tea to Jaguars, is perhaps best known in health IT circles for being hit with a $940 million judgment in a trade secrets lawsuit brought against it by Epic. From Quirky Queen: “Re: HIMSS17. This website lists what people thought were the dominant themes.” The website asked a bunch of people, most of them vendors, which topics dominated the conference. Not surprisingly, vendors donned their tunnel vision glasses to declare that whatever they sell (cloud computing, cybersecurity, or population health management tools, for example) is the Next Big Thing that attracted massive HIMSS17 interest. Beyond the obviously self-serving answers, even the question itself encourages bias – what if there was no big thing, or what if that person missed it? I’ll go to with the former and I’m happy that nobody waved yet another shiny object that does little to improve outcomes or cost. Cybersecurity got more attention mostly because HIMSS pushed that topic as a business opportunity, but nobody I saw had a lot of big developments or compelling case studies for population health management technology, precision medicine, and analytics. The mode seems to be more optimization than acquisition. I consider that positive – hopefully we’ve outgrown the days of providers creating their IT strategies around vendor brochures. 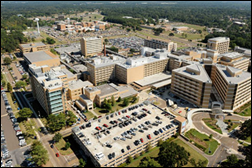 From UMMC IT: “Re: University of Mississippi Medical Center. Looks like staff reductions will happen and IT may get hit hardest with the largest budget on campus and staff.” The hospital says that an unexpected $35 million Medicaid funding cut will require layoffs and elimination of programs. From Salty Dog: “Re: marketing conference. I remember seeing that you had a discount registration code for John Lynn’s marketing conference. Do you still have that available? Also, thanks for HIStalkapalooza – I got my annual fix of dancing and enjoyable conversations with both acquaintances and strangers.” Registration for the Healthcare IT Marketing & PR Conference is open through March 6, for which using promo code “histalk” saves you $300 on the $1,395 general registration. Nearly all attendees of last year’s conference gave it at least an 8 on a 10-point scale. I’m glad you enjoyed HIStalkapalooza, where dancing is always a highlight thanks to the incredible Party on the Moon. From WK Fan: “Re: HIStalkapalooza. I appreciate the broad coverage of HIStalk and thank you for hosting the event. Invitations and HOB being a pain to work with stinks, but the party and vibrations were positive. Band was upbeat, food not so much, but wait staff and bar was inviting. The negatives will sting and linger, but don’t forget to pat yourself and your party planners on the back since it delivered a great time.” Thanks. We did the best we could, anyway. I’m sorry the food didn’t live up to its price tag. I only had chicken, salad, and spinach-artichoke dip and it was pretty good for what it was. From Darren Dworkin: “Re: HIMSS17. Many of us come back from HIMSS with all sorts of reflections on the industry, the show, the crowds, and of course our share of suggested improvements. But I thought I would take a minute to give a well-deserved shout-out to out going president of HIMSS, Steve Lieber. As you shared in HIStalk a while back, after almost 20 years and navigating some amazing growth, Steve is leaving an organization he did not create but that he certainly helped propel to be a foundational piece of our industry. A friend shared with me recently that building and running an organization can often look glamorous from the outside, but inside it is more akin to the work of picking up tin cans one at a time. Building and running big things is hard since everyone has an idea how to do it better. Steve, thank you for doing the hard things for our industry and growing HIMSS to what it is today.” I agree. I struggle with the unbridled, sometimes seemingly patient-indifferent ambition of HIMSS that is fueled by a business model of selling vendors access to providers, sometimes veering into purely commercial territory (HIMSS Media, HIMSS Analytics) and orchestrating self-serving advocacy efforts, but Steve skillfully moved the organization to where he thought it needed to go and sometimes dragged the industry along with it. 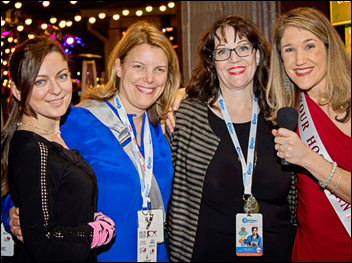 From Bonny Roberts: “Re: HIStalkapalooza red carpet. 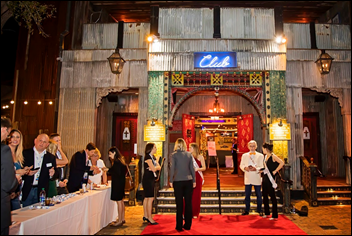 Your #1 fan was a retired woman who came to Orlando only to attend the event – she didn’t even register for the HIMSS conference.” That’s pretty cool. Hopefully she found it worth whatever degree of travel was required. Bonny, in the red dress above, was our red carpet host. I don’t know the identity of the person to whom she’s referring. Our post-HIMSS17 cupboard is a bit bare since everybody wrapped up most things before the conference, so potential new sponsors and webinar promoters can contact me for the specials I always trot out right about now. I’ve heard from several folks that, like me, they are a bit under the weather post-HIMSS from some combination of stress; sore throats and runny noses (maybe from rebreathed air or exhibit hall glad-handing); and possibly some element of food poisoning. Surely just like in healthcare there was a Swiss cheese effect of multiple exceptions that lined up to allow the usually reliable system to fail. As it turns out, the PwC envelope guy above was screwing around on Twitter in a celebrity-fawning haze instead of paying attention to the job he was being paid to do. Then, a justifiably puzzled 79-year-old Warren Beatty showed Faye Dunaway the card he had been handed to see what she made of it, but then she misunderstood his intention and blurted out the name she saw. That’s pretty Swiss cheesy. A human factors expert would have paid close attention to the envelope’s color and labeling, which is no different than redesigning an IV label or patient wristband to prevent mistakes. 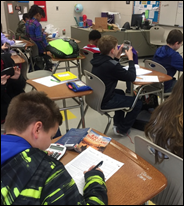 Technology might have helped, such as discreetly barcode checking the envelope before handing it over. In fact, the entire process of relying on duplicate stacks of paper (one on each side of the stage) seems dramatic but ripe for technology improvements, such as having the complete narrative to be read – including the winner’s name – from a teleprompter whose contents are secured until the big reveal. Bonnie and Clyde should have taken a time-out before forging ahead with a situation that was obviously puzzling to them. 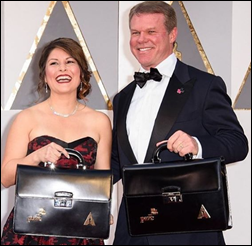 The Oscar producers seemed afraid to speak up before the non-winners began their acceptance speeches. It was apparently a stagehand who figured out the problem and stepped in a couple of minutes later, no different than when a cranky surgeon forges ahead into blunder-dom because everybody is reluctant to challenge them. The brand damage to PwC (which wags are calling “Probably Wrong Card”) is incalculable. Unlike an actual healthcare snafu, nobody was harmed, social media were entertained, everybody was a good sport, and all who were involved lived to tell about it. Notwithstanding proclamations of a non-punitive culture, the two on-stage consultants will be thrown under the bus and either demoted or fired and PwC will lose its most visible client. I strung together a sampling of HIStalkapalooza photos into a YouTube video. This is the last party-related deliverable on my list, except I think the videographer has a final video cut on its way. Here’s a fun fashion footnote: three women told me they ordered fancy dresses from the once-fabulous Rent the Runway, but all three received garments that were obviously ripped. Two spent time trying to patch them up, while the other just gave up and went back to conference wear. Perhaps the company is a victim of its own success and is wearing out its means of production. March 9 (Thursday) 1:00 ET. “PAMA: The 2017 MPFS Final Rule.” Sponsored by National Decision Support Company. Presenter: Erin Lane, senior analyst, The Advisory Board Company. The Protecting Access to Medicare Act of 2014 instructed CMS to require physicians to consult with a qualified clinical decision support (CDS) mechanism that relies on established appropriate use criteria (AUC) when ordering certain imaging exams. Providers must report AUC interactions beginning January 1, 2018 to receive payment for Medicare Advanced Imaging studies, with the CDS recording a unique number. 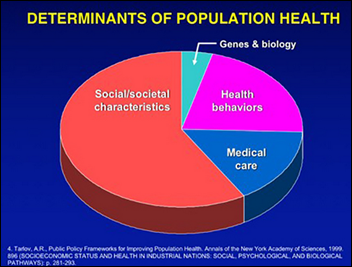 Outliers will be measured against a set of Priority Clinical Areas and interaction with the AUC. This webinar will review the requirements for Medicare Advanced Imaging compliance and will review how to ensure that CDS tools submit the information needed for reimbursement. A cross-border radiotherapy project in Republic of Ireland and Northern Ireland chooses Agfa HealthCare’s health management platform, including its universal viewer. Consumer health website Sharecare — founded by WebMD founder Jeff Arnold and TV huckster Dr. Oz — hires John Solomon (Apple) as strategic advisor and Dale Rayman (Zipongo) as SVP of actuarial consulting and business development. CompuGroup Medical promotes Benedikt Brueckle to CEO of its US division. He replaces Werner Rodorff, who will return to his previous role as CTO. For-profit, five-hospital Cancer Treatment Centers of America Global will integrate NantHealth’s oncology clinical decision support with Allscripts Sunrise. 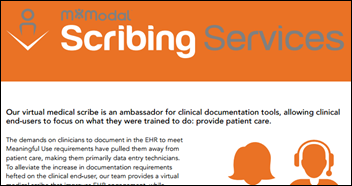 MModal launches Scribing Services, which provides medical scribes who review audio from encounters – either in real time or afterward – and document directly into the EHR. VA Secretary David Shulkin, in his first public address, outlines his priorities, which include improving access to non-VA providers when a veteran can’t get a timely VA appointment, making it easier to fire bad employees, creating new suicide prevention programs, improving coordination with the DoD, and enhancing the VA’s IT. Meanwhile, the VA says it will increase employee drug testing and drug inspections following government reports of sloppy drug tracking, large numbers of drug diversion investigations of which few resulted in disciplinary action, and lack of consistent drug testing of new hires. 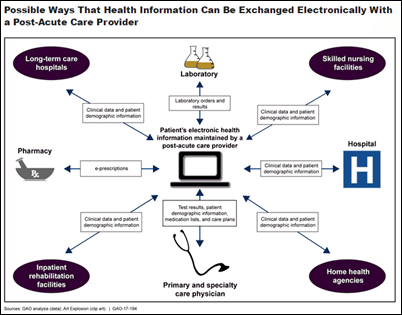 An HHS GAO report recommends that HHS encourage improved information exchange as patients leave hospitals for post-acute care settings. A Black Book survey of 35,000 consumers who are covered by exchange-sold health plans finds a strong drop in satisfaction in the past year, with the biggest gripes being poor customer service, premium hikes, narrowing networks, reduced benefits, and too-few participating insurers to choose from. Time to resolve member complaints jumped from 12.5 days to 31 days in 2016. 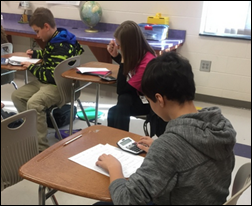 Overall satisfaction dropped from 77 percent to 22 percent, wile 58 percent of those surveyed said plan services declined significantly. More than two-thirds of US counties had only one or two insurers to choose from. HIMSS declares health IT to be “a bright spot for the US economy,” somehow missing the economic point that a swollen healthcare industry and its supporting services are mostly a drain on the economy and international competitiveness rather than something to brag about. A patient sues New York Presbyterian / Columbia University Medical Center for charging her $1.50 per page plus an administrative fee to provide copies of her medical records, presenting her with a bill for $3,000. State law limits costs to 75 cents per page. Also named in the suit is IOD Inc., to which the hospital outsourced its release-of-information management. The Equal Employment Opportunity Commission subpoenas TriHealth (OH), demanding that it turn over the medical records of the employees of an unnamed company that is being investigated for making unjustified disability-related medical inquiries. The company says TriHealth doesn’t give it access to the records, while TriHealth says it doesn’t own the records of the approximately 2,000 patients involved and thus can’t turn them over to EEOC. 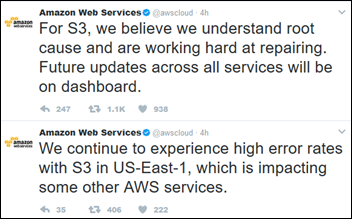 Amazon Web Services went down in the eastern US Tuesday afternoon, causing problems for websites, apps, and services that rely on its cloud computing services. Explaining to a hospital CEO that their outage was caused by someone else’s data center problems must be tough. I’m not sure which cloud-based vendors went down, but Practice Fusion was one of them. Tech-powered home caregiver matching company HomeHero, the #1 home care provider in California, finally shuts down after an October 2015 Department of Labor ruling that home care workers must be hired as W-2 employees rather than 1099 contractors, a change advocated by labor unions and California $15 per hour minimum wage advocates. That ruling also required paying overtime rates that doubled the cost of live-in care that made it more expensive than sending a patient to a skilled nursing facility. The now-defunct company pivoted to an enterprise model to work with hospitals, signed up with the Cedars-Sinai digital health accelerator, and developed a CareKit-integrated health app, but then found that large health systems would launch pilot projects strictly for case studies with no intention of buying anything because they had no financial incentive to pay for home care (“being dragged out in the middle of an ocean and abandoned”). In Australia, merged medical device manufacturers Medtronic and Covidien implement new supply chain systems, with conversion hiccups interrupting the flow of orders for surgical instruments, respiratory products, and sutures for six weeks, causing hospital surgery backlogs and apparently some incidents of patient harm from the use of replacement products. Laid-off IT workers at UCSF were planning to demonstrate on campus Tuesday to protest the university’s decision to outsource their jobs to India. A study finds that even though EDs are the source of a lot of inappropriate antibiotic prescribing, most pediatric EDs say they aren’t invited to the table when antimicrobial stewardship programs are being created or managed. 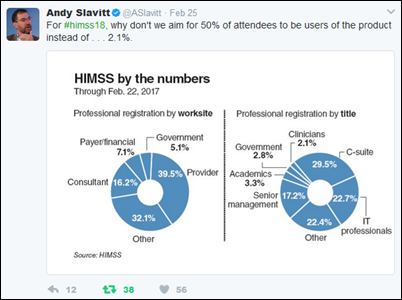 Former CMS Acting Administrator Andy Slavitt notes that only 2.1 percent of HIMSS17 attendees were identified as non-management clinicians and 60 percent came from non-provider settings. That’s based on job title and employer, though, and sometimes clinicians still see patients while working in IT or at a C-level job. The other slice and dice I’d like to see is how many CIOs, IT directors, CMIOs, and VPs came from provider organizations since those are the decision-makers that vendors swear are in short supply in the exhibit hall. 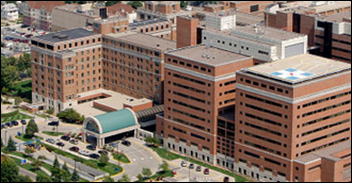 Medhost’s inpatient, ED, BI, and YourCareUniverse portal earn Meaningful Use Stage 3 certification. AdvancedMD will introduce a new dermatology practice model, Practice 2.0, at the ADAM/AAD meetings in Orlando this week and next. Sutherland Healthcare Solutions publishes a case study of its ICD-10 transition work with Palomar Health. CommonWell TV interviews Aprima COO Neil Simon at HIMSS17. The Breaking Health Podcast interviews Arcadia Healthcare Solutions CEO Sean Carroll. CRISP publishes a case study about PROMPT, a care coordination platform developed by Audacious Inquiry. Palmetto Health Quality Collaborative goes live on Caradigm’s population health management solutions. Casenet integrates its TruCare population health and care management solutions with MCG Health’s evidence-based guidelines to improve the prior authorization process. CoverMyMeds expands its RxChangeRequest Service at no cost and commits to interoperate with willing trade organizations. Elsevier CMO Peter Edelstein shares precision medicine insights from the HIMSS17 show floor. EClinicalWorks successfully deploys CommonWell services. FormFast will provide forms automation and electronic signature technologies for the Meditech implementations of health IT service provider Engage. Two studies presented at ATTD 2017 showcase the dramatic improvements in diabetic control and patient outcomes enabled by Glytec’s personalized therapy management and clinical decision support.